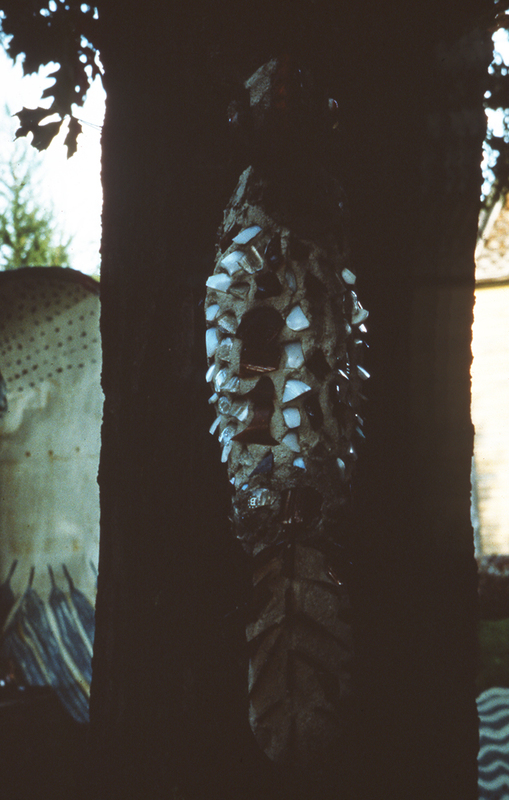 A few of Fred’s sculptures got away from the Park. 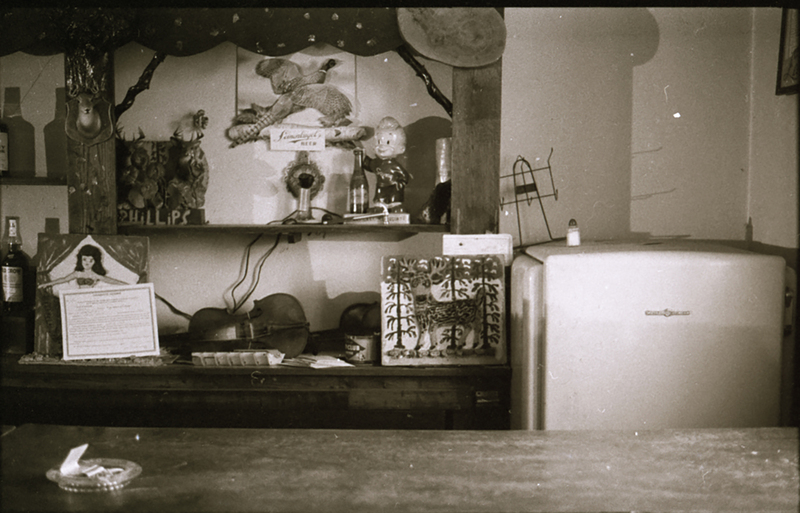 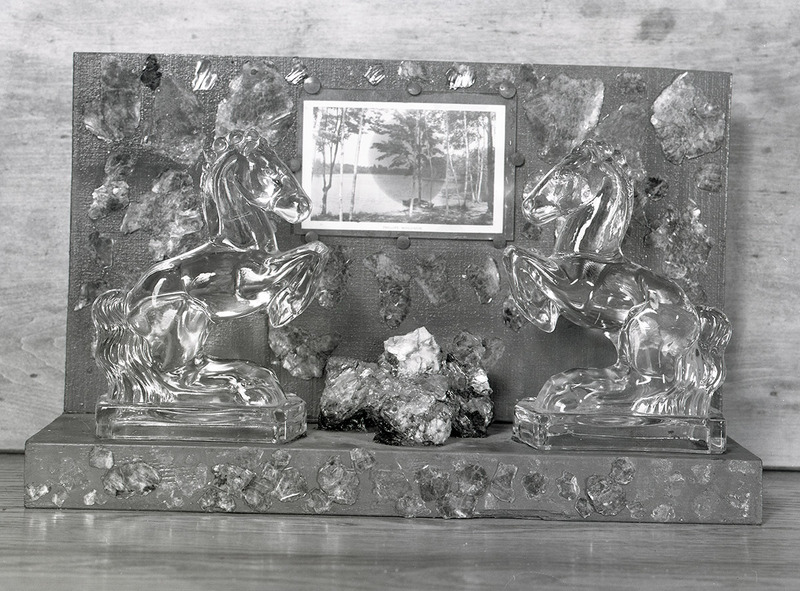 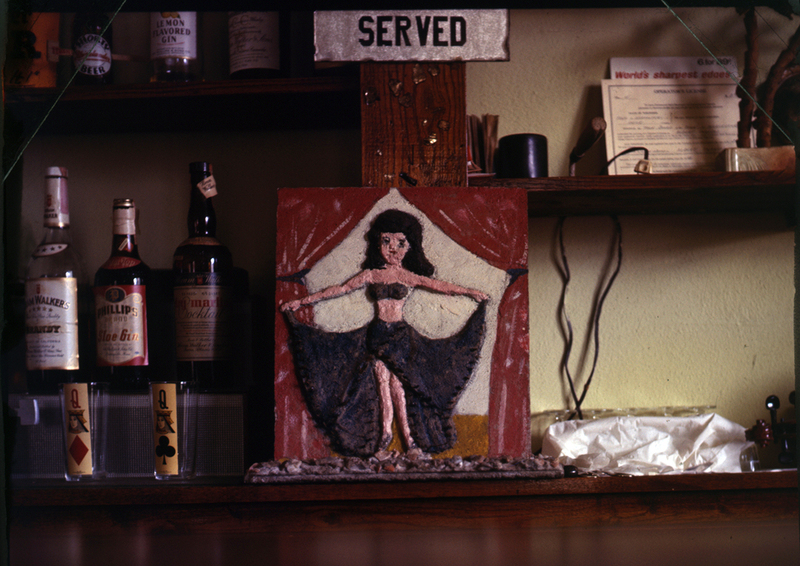 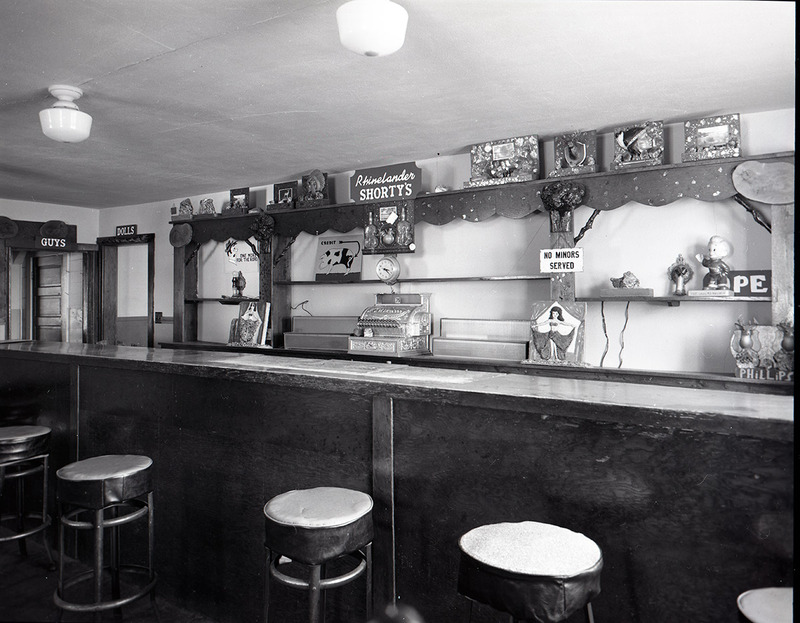 Smith made a number of sculptures to decorate the back bar at the Rock Garden Tavern, which he generously gave to artist admirers. 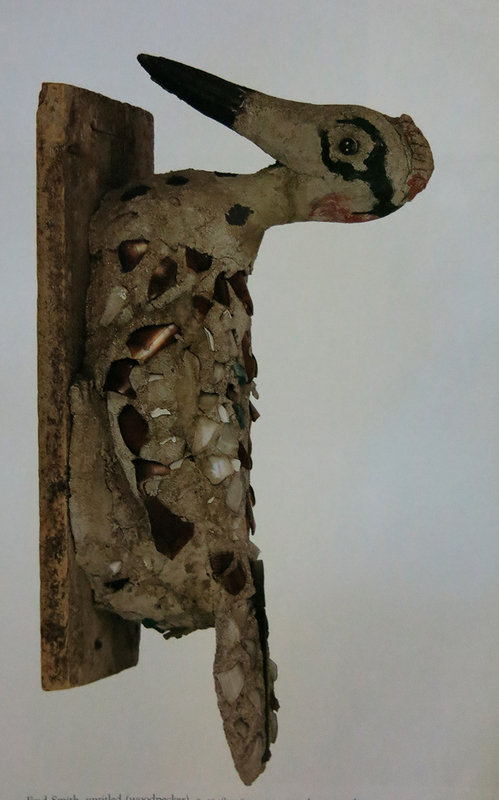 There were originally at least 3 woodpeckers that had fallen from their original perches on trees. 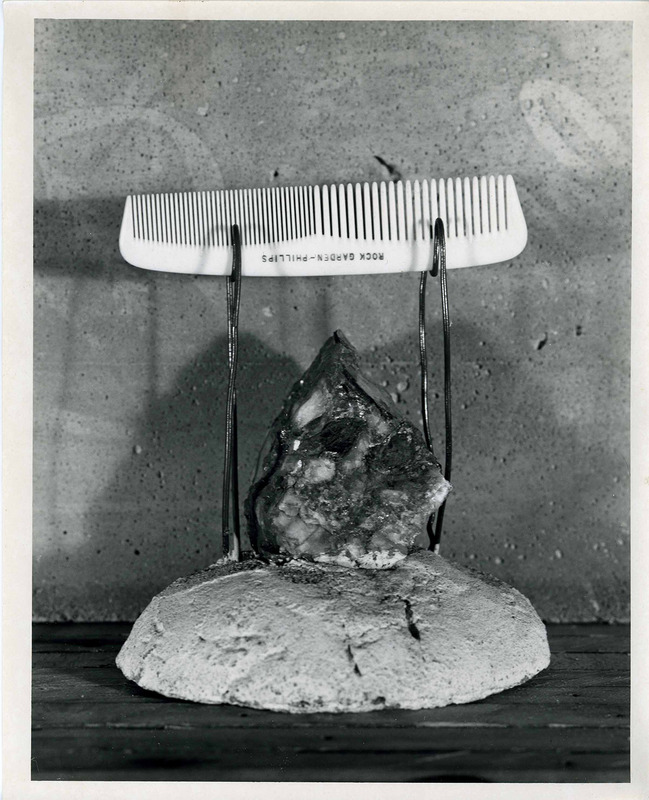 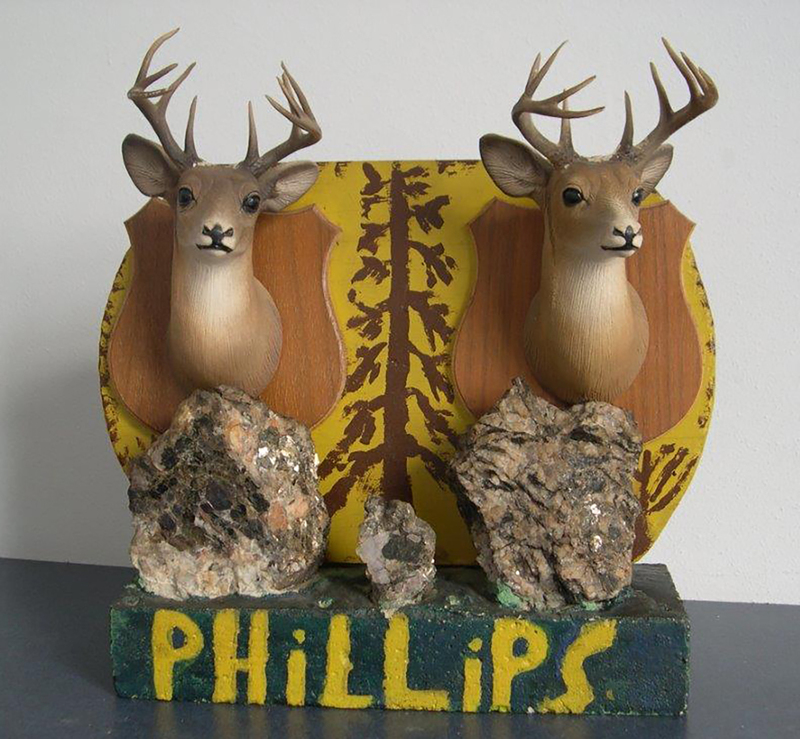 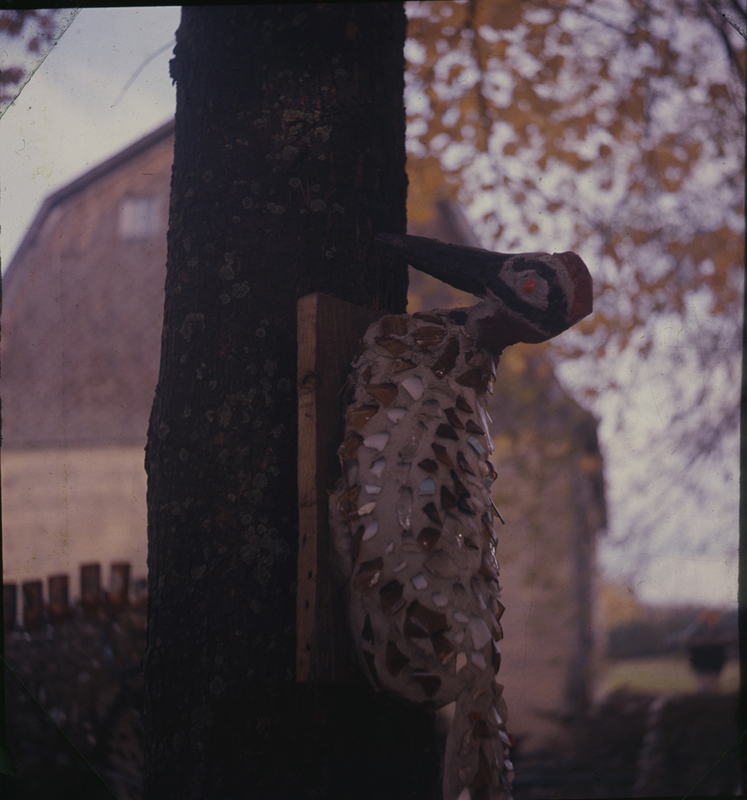 When they fell off, the were placed in the Tavern; owner Murry Rinehart gave 2 Woodpeckers to the Milwaukee Art Museum and one was given to the John Michael Kohler Arts Center (JMKAC). 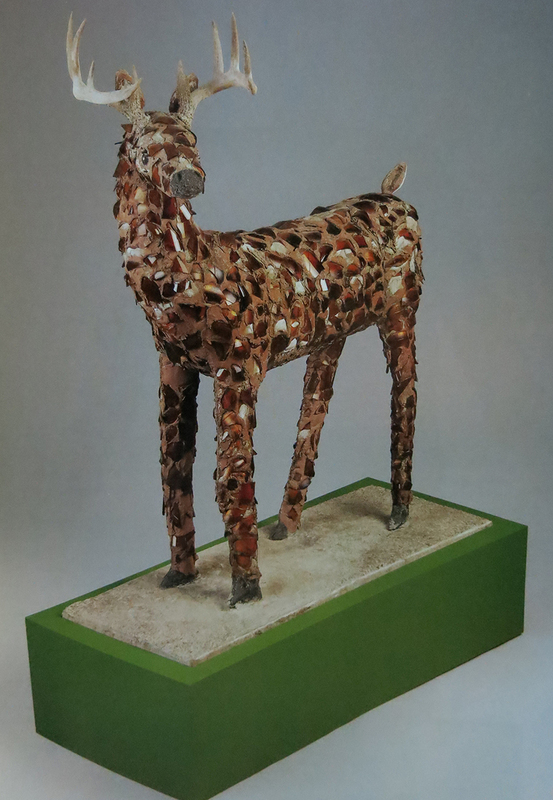 Smith made a deer for a friend, now in the JMKAC. 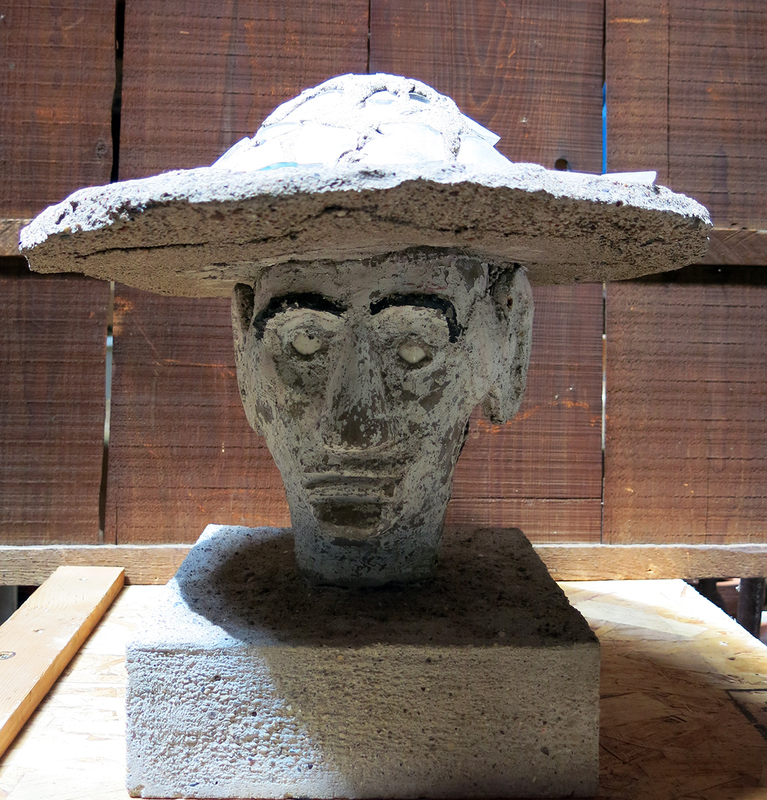 A few sculptures fell apart; Smith gave the heads to friends. 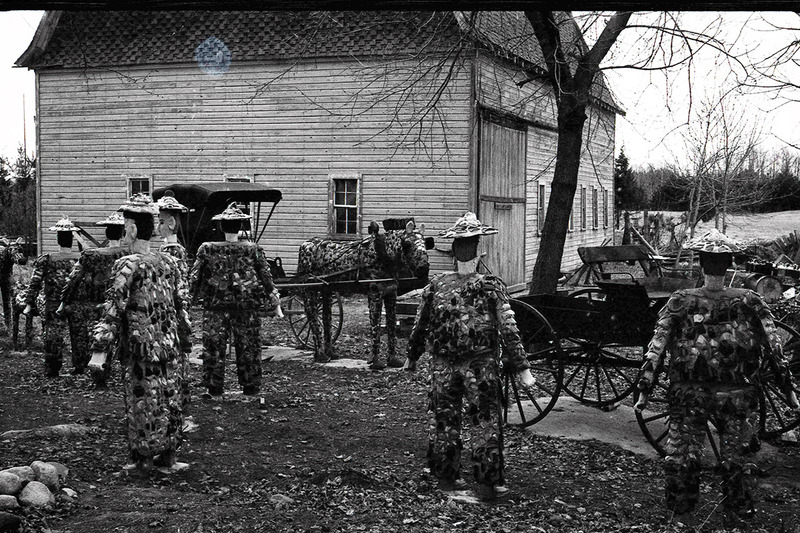 In order to preserve one example of Smith’s work in close to vintage condition, a male figure was moved from site plan #47, Horses with Buggy, to the John Michael Kohler Arts Center (Sheboygan, WI), where it is on long term loan, preserved, and occasionally on view. 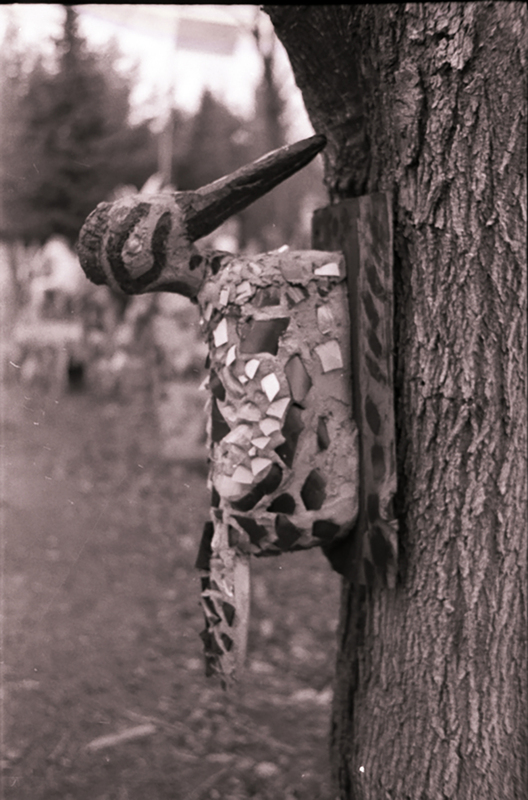 Fred Smith, stag; the only sculpture he made for a friend, not for the Wisconsin Concrete Park. 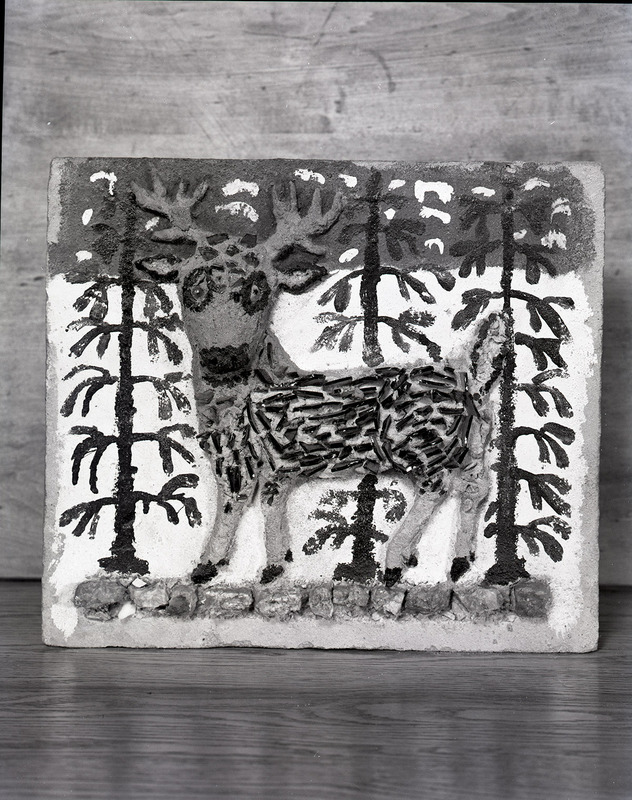 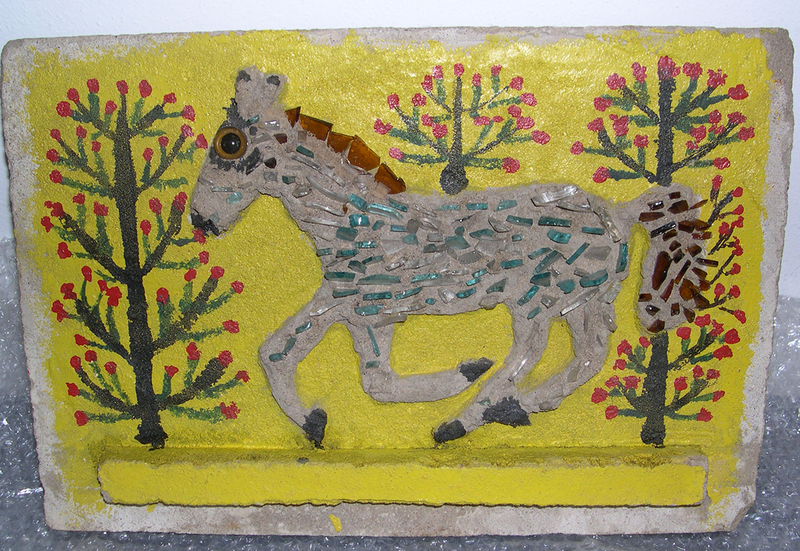 John Michael Kohler Arts Center collection, Sheboygan, Wisconsin. 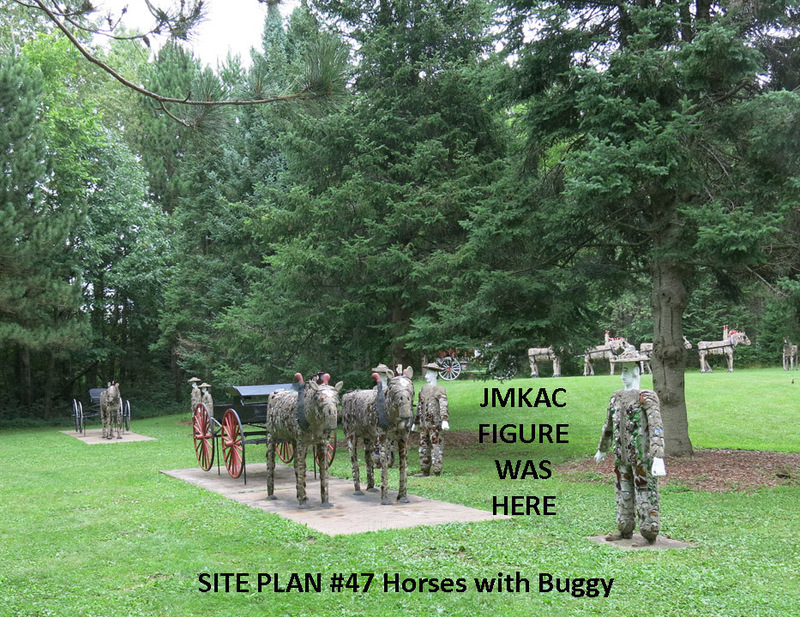 Site plan #47, Horses and Buggy was originally created west of the Smith barn. 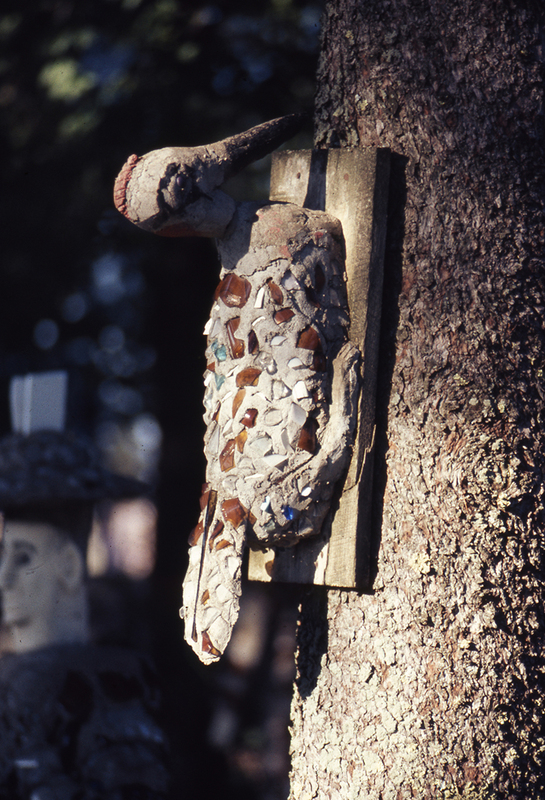 It was moved to the east meadow in 1977, to flesh out the newly established area, where sculptures from the Tavern property were moved. 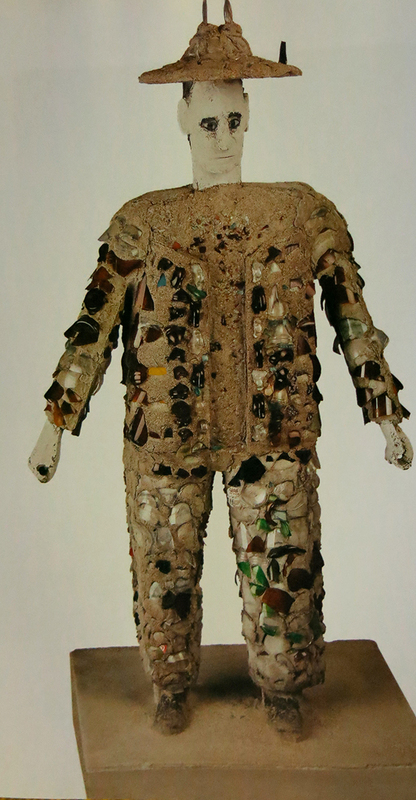 A male figure was moved to the John Michael Kohler Arts Center, to preserve an example of Fred Smith's work, as close to the condition when it was created. 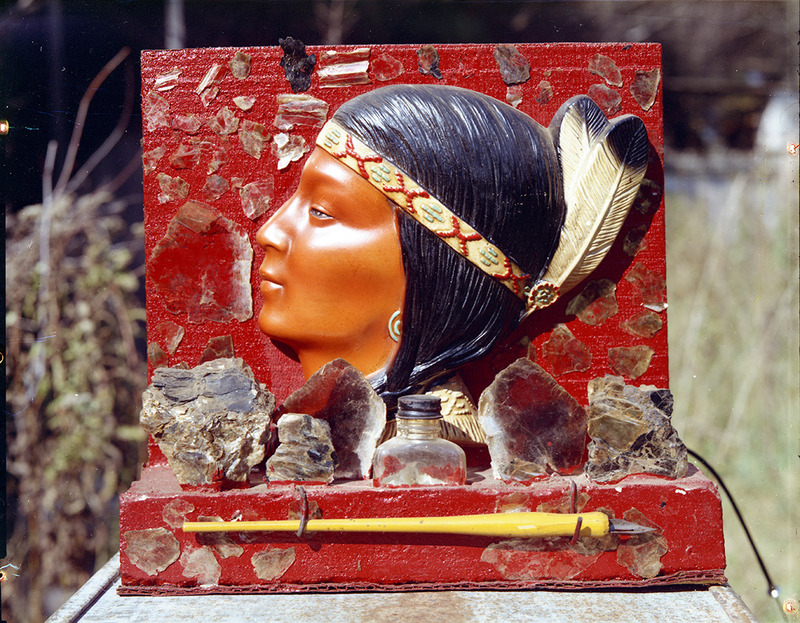 Male figure, removed from the Park (site plan #47) to preserve an example of Smith's work. 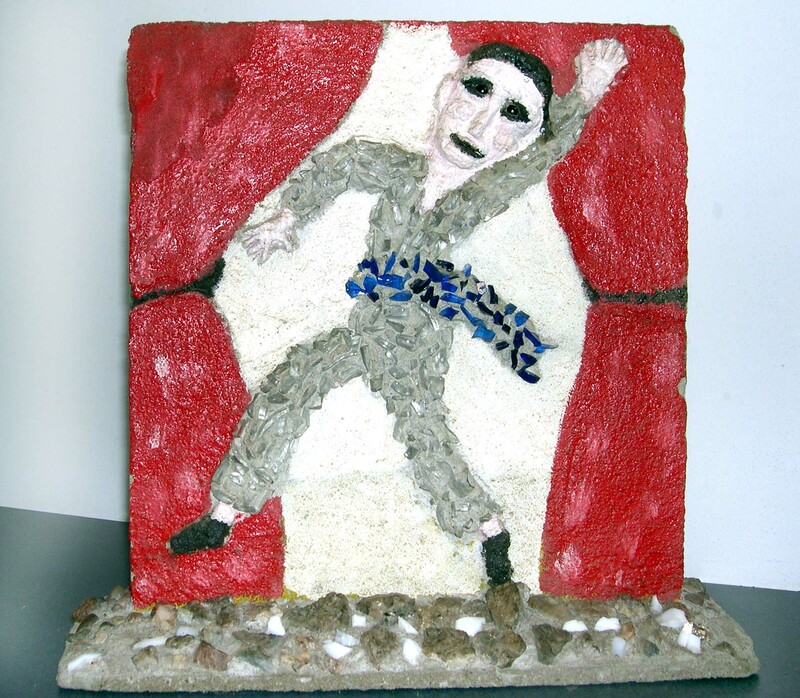 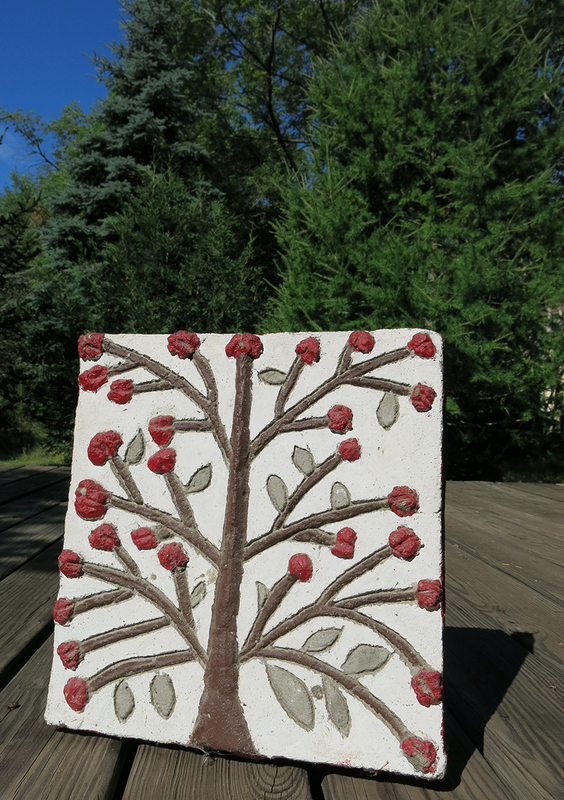 Long term loan to the John Michael Kohler Arts Center by Friends of Fred Smith and Price County.